I use SecureCRT quite often to access Linux systems as well as network devices. 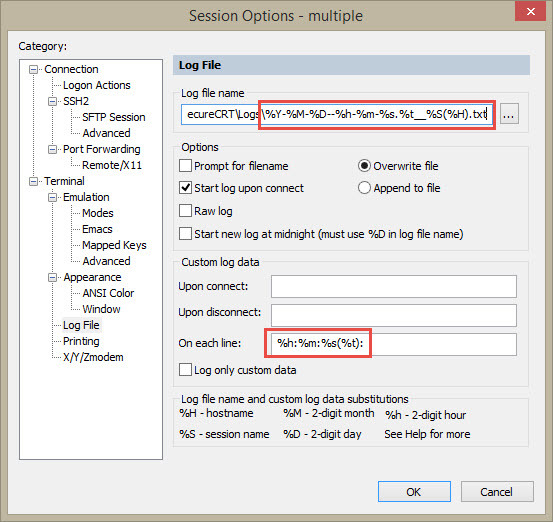 When going through one of the presentations on SecureCRT web page I found handy tip how to configure session logs to have it divided by date, time and session. These settings will create separate log file for each session every time connection will be established. In addition to that each line will start with timestamp added by SecureCRT.